Other Common Names: Carroway, carvies, karve, Persian cumin, wild cumin, carvi (French), alcaravea (Spanish), kummin (Swedish), Kümmel (German). Habitat: Caraway is native to central Europe and western Asia. Nowadays, it is commonly cultivated in Eastern Europe, Finland, Germany, the Netherlands, and North Africa. It grows well in meadows. Description: Caraway is a biennial herb, which grows up to 40 to 60 cm in height. This plant somewhat looks like carrot plant. The leaves are feathery and finely divided into thread-like divisions. The flowers are small and white to pink in color. The fruits are 2-mm long and they are crescent-shaped achenes with five slight ridges. The seeds of caraway contain a considerable amount of carbohydrates, fat, and proteins. Plant Parts Used: The caraway seeds and fruit are the plant parts that are mostly used for health benefits. However, leaves and roots are also used in some medical preparations. The caraway seeds contain 2-7% of essential oil consisting of carvone (45-65%), smaller amounts of limonene, carveol and some other substances. Furthermore, the seeds contain around 20% fatty oil. Plants that grow in the wild usually contain more oil than plants that are cultivated and have therefore a stronger flavor. The leaves of caraway are rich in vitamin B and C, as well as iron. 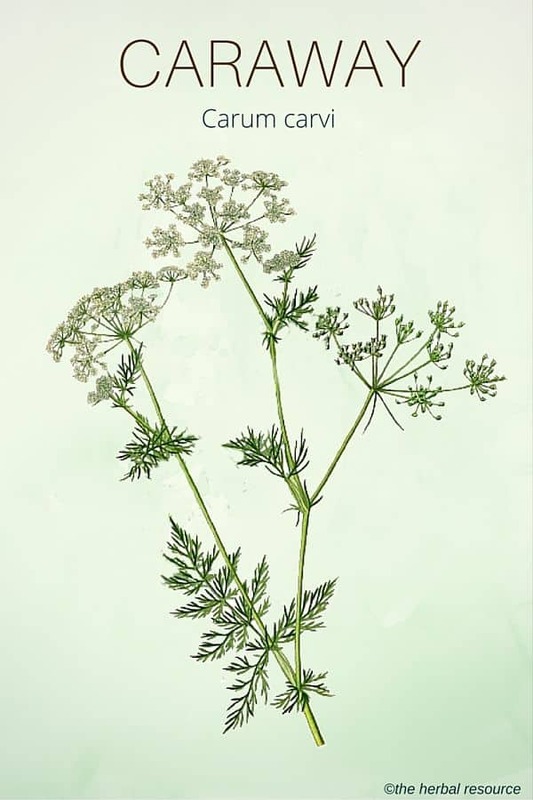 Caraway has been cultivated for a very long time and it was known and described by many ancient civilizations. The seeds of the plant have been found in human settlements dating from the Stone Age and also in Egyptian tombs. 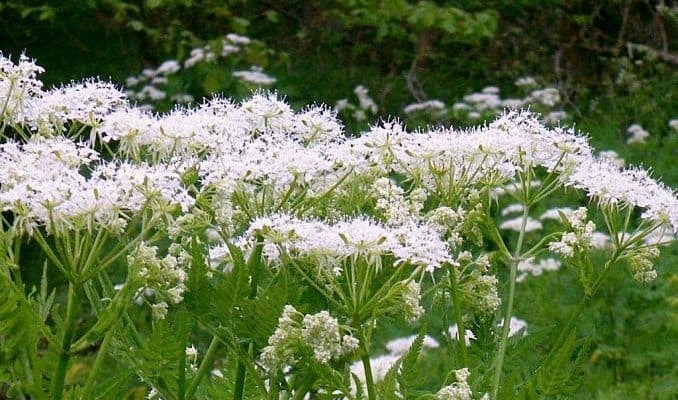 An herbal tea prepared from the seeds of caraway is used as an herbal remedy for digestive disorders, heartburn, loss of appetite, and to dispel worms. 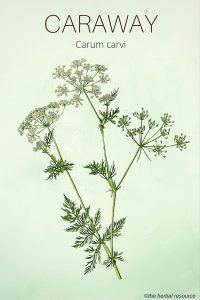 Caraway seems to be a natural treatment for dyspepsia, hysteria, and similar disorders. Also, it is believed to be an effective stomachic. Distilled water extracted from caraway is believed to be an effective herbal remedy for flatulent colic in infants. A poultice made from the powdered seeds is believed to be an effective herbal remedy for wounds. The leaves, roots, and seeds of caraway seem to activate the glands and they increase the functions of the kidneys. 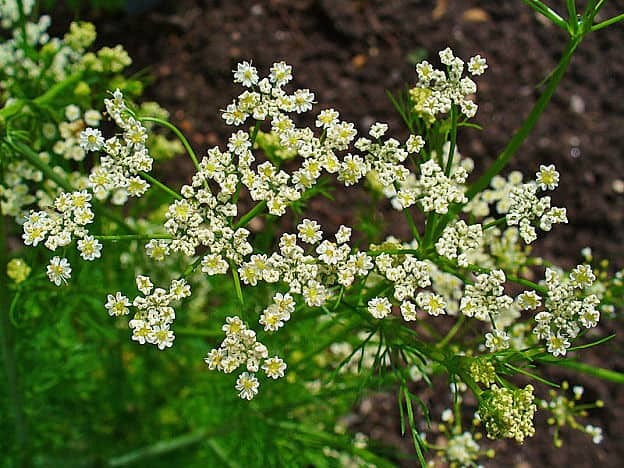 Additionally, an infusion prepared from the caraway seeds can help aid digestion, menstrual cramping, and relieve gas. The caraway seed oil is sometimes utilized orally to get rid of halitosis, bad breath or bad taste. In addition, the oil contains an effective anthelmintic agent, especially against hookworms. For preparing tisane, it is recommended to use about 0.5–2 grams of powdered fruit; you many drink the herbal tea three times a day. 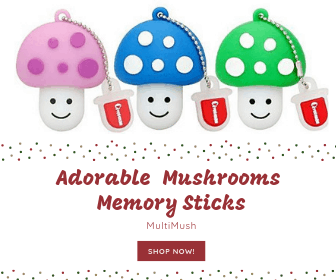 The tinctures prepared from the extracts of the herb can be used 0.5–4 ml three times a day. The enteric-coated essential oil can be taken 0.05–0.2 ml three times a day for petulant bowel syndrome. For gassy indigestion, one to four drops of the volatile oil with sufficient quantity of sugar and a teaspoonful of pure water seems to be very effective. It is not safe to use the purified essential oil by children below two years, because, it may cause skin and mucous membranes irritation. In very high dose, the oil can cause abortion and it may be neurotoxic; therefore, it should be avoided by pregnant women. Blumenthal, Mark: The Complete German Commission E Monographs. Austin, Texas, American Botanical Council. 1998. Bown, D.: Encyclopedia of Herbs and their Uses. DK Adult. First Edition edition. 1995. Chevallier, A.: The Encyclopedia of Medicinal Plants. DK Publishing. 1996. Karalliedde, L. and Gawarammana, I.; Traditional Herbal Medicines; A Guide to Their Safer Use. Hammersmith Press Limited. 2007. Allardice, P.: A – Z of Companion Planting. Angus & Robertson. 1993.